100% Cotton, Boys Cotton Pant without Rising. 100% Cotton,Boys Cotton Pant without Rising. Owing to a rich experience of more than 11 years, we have attained a remarkable recognition as a leading supplier and trader of premium quality Men's, Ladies & Kids Wear. Our exclusive range of woven garments includes Men's T-Shirts, Men's Basic T-shirts, Men's Polo T-Shirts, Men's Round Neck T-Shirts, Men's Printed T-Shirts, Men's Hooded T-Shirts and Men's Pyjama Set. Besides, we also offer Men's Shorts, Men's Rib Neck T-Shirts, Kids T-shirts, Kids Rompers, Girls Top and Kids Shorts. Furthermore, clients can also avail from us Ladies Basic T-Shirts, Ladies Striped T-Shirts, Ladies Top, Ladies Printed T-shirts, Ladies Fancy Top, Ladies Hooded T-Shirts and Ladies Embroidery Tops. Besides, we also provide Stock & Surplus. We are committed towards following a quality oriented approach in all our endeavors. Our talented procuring agents make sure to opt for the authentic vendors of the industry, who are equally quality conscious. The quality control experts ensure that these procured garments are in compliance with the international quality standards. This helps us in endowing our clients with top class garments. In order to further benefit the customers, we offer hemming of these fabric as a complimentary service. 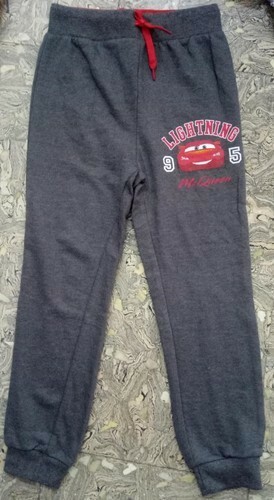 Besides, we provide embroidering and customized designing of these garments at cost effective prices. Leveraging upon our ability to render enormous beneficial services to the clients in a stipulated time frame, has won us rich accolades in the domestic market.